With the explosion of on-demand viewing, binge-watching and the wide-spread availability of over-the-top (OTT) content, the social, video and television recommendation engine business is flourishing. Companies are combining entertainment metadata and viewer activity analysis to provide relevant suggestions for programming that could pique someone’s interest. The industry is thriving; new startups are finding investors and others are being acquired by bigger forces. “Recommendation engines will control our TV viewing behavior and customer satisfaction,” said Multimedia Research Group Vice President of Global Research, Norm Bogen. “They will be instrumental in attracting new service subscribers, and will allow providers to expand advertising revenue and optimize profitability. Recommendation systems will usher in the new personalized TV experience." ABI Research recently released a study that found that 75% of pay TV households will receive advanced content recommendations by 2018. Here’s an overview of the main players. Founded in the late 1990s in Glasgow, Scotland, the company now has additional bureaus located in London, England, Los Angeles and Silicon Valley, which just opened in February 2014. They construct intelligent technology that can be integrated with on-screen guides, set-top boxes, tablets, phones and PCs for exposure and discovery purposes, working alongside operators throughout Europe and North America, including Cox Communications, BSkyB, Swisscom and Unitymedia. “We learned that at all points you have to be flexible in your approach to recommendations because not everybody wants the same thing. Fortunately, we designed the platform from the outset to have the flexibility to adjust to these needs, which made it easy to update,” said chairman Eddie Young, describing the service. ThinkAnalytics’ products include their recommendation engine, an enterprise server, business rules and a data mining platform. During the week of March 18, 2014, Palo Alto, Calif.-headquartered start-up Boxfish announced that it acquired $7 million in Series B financing from Atlantic Bridge Capital and Samsung. Begun in January 2011, the service interprets and captures what’s occurring on 1,000 television channels in real-time by parsing text-based captions; it then uses its newfound knowledge to provide viewers with compatible suggestions on what to watch. Originally, Boxfish launched apps for iPad and Android (at press time, seemingly unavailable from the Apple and Google Play stores), and later released an API to allow independent developers to construct their own programs. Their client roster includes AT&T, DirecTV and TiVo. This Dallas-based lookup technology purveyor made waves at the February 2014 San Francisco TV Hackfest, developing a second-screen app, “TV Through the Looking Glass,” that joined Gracenote APIs with Google Glass and their own search engine. The utility allows a user to access additional programming information while using a connected television. Last December, Kannuu received $2 million in fundraising from investors, and their platform and algorithms are used by the Reelz Channel, Western Digital and Telstra, among others, for video discovery. In 2008, the service won the Technology Innovation Award for Best Mobile multimedia in Nokia’s Mobile Rules! 08 competition. “In today’s market … whichever provider offers the best interface for consolidated search and discovery across multiple video services and devices will own the customer — and a healthy cut of all revenue opportunities associated with that privileged relationship,” said Kannuu CEO Todd Viegut. Jinni was established in 2008 in Tel Aviv, Israel, as a recommendation engine for television operators. The company quickly partnered with Belgacom, a Belgian IPTV company, and soon thereafter, signed a multi-year licensing agreement with Xbox to amplify the game console’s content catalog. It lets users input moods, plots and titles and navigates a system filled with 2,200 different tags to find something appropriate for them to watch. 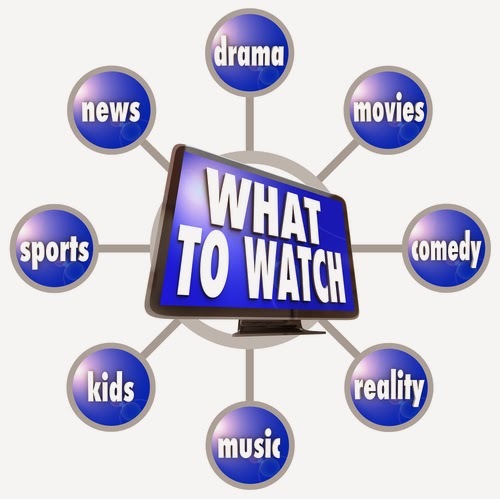 Launched in San Francisco in 2012, Watchwith is a service that lets local broadcasters provide bonus information and suggest programming to viewers by directly synching with something as it airs in real-time. The platform was selected by the Television Academy to develop original content centered around the 2013 Emmy Awards, including polls and photo galleries. Watchwith has also powered apps for FOX, NBC Universal, Bravo and SYFY with their API. Digitalsmiths provides a robust search and discovery platform to U.S pay-TV services that utilizes data, recommendations and social media. The Durham, N.C.-based outfit was acquired by TiVo at the end of January 2014 in a $135 million agreement. The company offers MetaFrame, a framework for data creation and aggregation, as well as Seamless Discovery, their main engine. “To our knowledge we're the only group that has combined the capability of visual recognition with speech recognition and the ability to interpret all that,” said co-founder Ben Weinberg, in an interview with Shoot.